At this point, high fantasy tropes are so well-worn, it can be hard to remember that they’re just arbitrary creative choices. 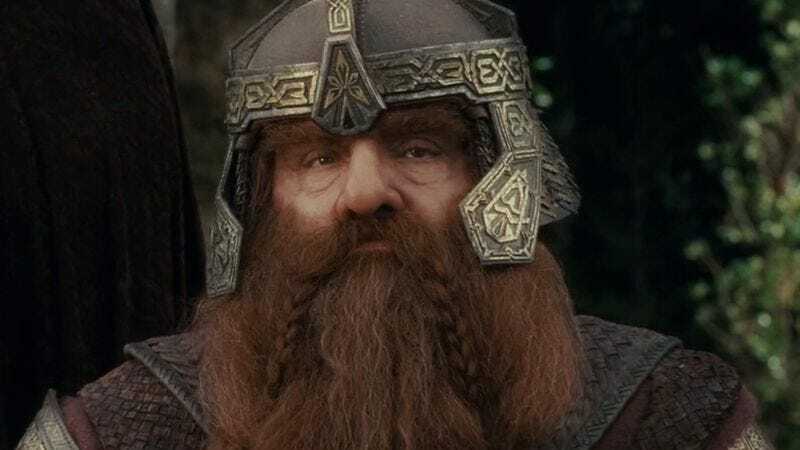 For instance, there’s no real reason that dwarves should always sound like Scottish tavern owners while elves speak like stuffy tour guides at Buckingham Palace. And yet that’s pretty much the case in 90 percent of high fantasy series and video games. In a new article for Atlas Obscura, Eric Grundhauser digs into the history behind these widespread accent stereotypes. And, like most things related to high fantasy, it all comes back to J.R.R. Tolkien. Grundhauser argues that even though Tolkien’s original Lord Of The Rings books were purely textual, the way Tolkien wrote his dialogue shaped readers’ perceptions of accents. For instance, a scene in The Hobbit in which villainous trolls use words like “blimey” forever linked orc and troll-like bruisers with Cockney accents. To be fair, however, not all of these linguistic stereotypes came from Tolkien himself. He actually took inspiration from Finnish and Welsh for Elvish and drew from Semitic languages for Dwarvish (think names like Khazad-dûm). It was only in subsequent radio and film adaptations of Tolkien’s work that we began to hear the Scottish and English accents that sound so familiar today. In the end, it’s probably as simple as the fact that elves are ethereal, sophisticated creatures while dwarves are earthy drunkards, and so adaptations of Tolkien’s work selected stereotypical accents to match those traits. It’s all pretty classist and judgmental, but there’s no doubt it’s also hugely influential. Grundhauser traces these accent stereotypes from Tolkien’s work all the way through modern video games like World Of Warcraft and Hearthstone. So here’s hoping for a future high fantasy series that gives an elf a Cockney accent for once.